How to Use Tarot to Find your True Love? If you want to know your daily and monthly horoscope, you can also click here. However, if the past experiences have left you feeling dejected and it seems like there is no way out and you can never find love again, then it’s time you turn to something more helpful and effective. Tarot Reading has been around for centuries now and successfully guided people through challenging circumstances in their life. Apparently these days, there is nothing more challenging than finding true love. With Tarot along your side, you’ll feel way more confident. That's mainly because it provides tremendous clarity even on the most complicated aspects of life, and since finding a soulmate is one of them, there is nothing better. So, let’s check out how Tarot can chaperone you to finding true love. What’s Stopping You From Finding the Right Partner: Often what you have experienced in the past sustains itself within you and over a period of time, transforms into insecurities. Which, if you may consider seriously, is what holds you back from expressing yourself emotionally. Maybe your choice of romantic partner is based on your previous relationships, and you don’t want someone to be in your life who reminds you of him/her. Tarot suggests you drop such irrational misconceptions and move on. What You Want: Sometimes it’s not about who you wish to be with, but what kind of relationship you actually need. You can find answers to questions like - how should be your ideal partner, how much can you invest yourself right now, or how long can you two go. Tarot helps tap into the farthest territories of your intuition and explore what you actually want. What Are Your Best Resources: If you wish to attract the soulmate of your dreams, then you must realize all that’s unique about you. In simple words, you need to identify what you’re working with here; your qualities, strengths, assets. Determine what is it about you than can turn some heads around. Tarot is the best way to find something as profound as this. What is Beyond Smite: People believe it’s better to be alone than with being a wrong person. That’s why it gets all the important to find a suitable partner. You may be insanely attracted to someone or feel like you’ve found your true love but in reality, you couldn’t be farther from being in love. Tarot is indeed the best way to determine if the person you’re in awe of right now is, in fact, the one for you. Why is Tarot the Best Way To Finding True Love? The most important of them all is timing. 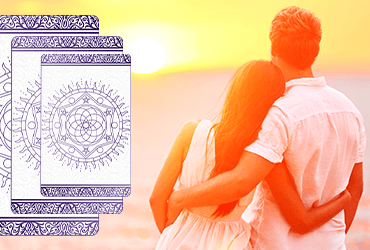 Your draw from a Tarot spread can be a clear indication towards how long will it be before you meet a suitable mate. If Tarot can help you with timing it most certainly can offer a few glimpses of the location where it all might be destined to happen. If nothing, it can definitely give you the ballpark. The kind of person you should be with is another revelation that you might come across in a Tarot session. Tarot is the best way to get through the most complicated situations in life, much like the one that you might be in right now. So, what are you waiting for? Get your Love Tarot Reading now!